The Holy See is participating for the first time ever with its own pavilion at Venice’s 55th Biennale D’Arte, an international arts festival held every two years in the lagoon city. At a news conference in the Vatican on Tuesday, the President of the Pontifical Council for Culture, Cardinal Gianfranco Ravasi, and other speakers described the reasons for the Holy See’s participation and spoke of the theme chosen for its exhibit. “In his intervention, Cardinal Ravasi said the council that he heads holds contemporary art at the heart of its interests because it is one of the most important cultural expressions of recent decades. The Cardinal told Vatican Radio that the Holy See wishes to rebuild an interrupted dialogue, or what was a kind of non-consensual divorce, that took place between art and faith, especially in the last century. It’s for this reason, he continued, that we want to try to create an authentic dialogue between religion and contemporary art that has new and dramatic forms of expression. Cardinal Ravasi described this upcoming participation in Venice’s Biennale festival as an attempt to reconnect those very ancient and close links between art and faith in the world of culture. 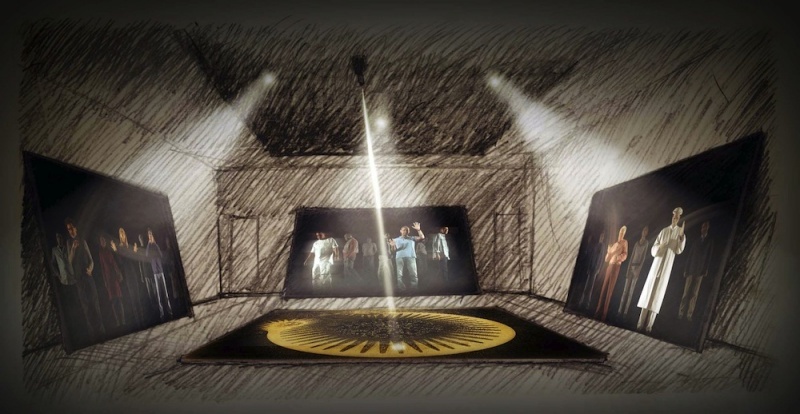 Curated by Antonio Paolucci, director of the Vatican Museums, the pavilion “In the Beginning” will focus on the Book of Genesis. It will be located in the Sale d’Armi, a newly-renovated section of the Arsenale. The theme of creation will be addressed by the Milanese new media collective Studio Azzurro with an interactive installation. Photos by the Paris-based Czech photojournalist Josef Koudelka will represent “uncreation,” and Lawrence Carroll, an American painter based in Venice, Calif., will encapsulate re-creation through his use of recycled materials.